The Empress Archetype activated to its fullest potential embodies the energy of Nurturance, Creativity & a strong connection to Gaia. The Empress has a great capacity for creative endeavours, psychic gifts for healing and transformation & abundance. The Empress’s Journey can be challenging. You may at times during your childhood or in past life times have felt neglected & unloved. This may have left you feeling unsafe, not provided for by the world & a lack of self love. You may be prone to over indulging in the physical world through food or physical affection but often this leaves you feeling unfulfilled & empty. This is all part of the Journey of the Empress. You are being called to bring to light all those shadow parts of yourself, accumulated over many life times, that are not in alignment with your true sense of self. As you do this, through working with those feelings of lack & emotional or spiritual deprivation you are encouraged to appreciate what you already have in your relationships, professional & spiritual life. At the heart of the Empress’s Inner Journey is to learn how to connect to the inner realms of nature & the Gaia Kingdom. It’s only through this deep connection that you’ll ultimately feel nourished and fulfilled. By focusing on what you already have & releasing the need for possessions you are able to connect more to your creative gifts and talents & support others to do the same so that they can feel the joy of being on this Earth. For the Empress it all comes down to your connection to Nature, Crystals & Gaia. I have put together 3 Frequency formulations to help get you started energetically on your Inner Nurturance & Creativity Journey. The Empress Archetype holds powerful magic when it comes to Gaia & the nature kingdoms. Spend as time outside. Go for regular walks, sit in the garden & connect to nature. Ask your Higher Self to make a deeper connection to nature & the elements, that way you can begin to establish a stronger relationship to the elements & elementals. The navel chakra works with creativity, emotions, fulfilment & joy. By unblocking & opening deeper your Navel chakra you’ll activate the fullest potential of the Empress for creativity, nurturance & abundance. Since the Empress Archetype resonates to nature visiting regularly or connecting into Sacred Sites is a powerful way for you to absorb higher prana and frequencies into your etheric body to feed & nurture you. This will support not only your physical body to heal but also create a deeper feeling of nurturance, satisfaction & fulfilment. As an Empress Archetype you’ve probably been on this nurturance & creativity journey for a while - like lifetimes! I believe as an awakening spiritual being you’re probably being called to heal this aspect of self by not only connecting to nature itself but going deeper into the inner realms of nature. This is where the elementals reside like the crystal fairies, gnomes & nature spirits. This is a higher more spiritual aspect of the Empress journey. And as such you’ll need to be able to absorb higher more refined frequencies of light such as those found at Sacred Sites to support and sustain this reconnection. Just imagine what it would feel like to feel totally nourished, whole & sustained by Gaia and her magical kingdoms. You would be free from the need to look outside of yourself for nurturance & fulfilment through either food, material possessions or relationships. You would feel strong and safe in your physical body and you would understand that emotional fulfilment comes from within. Through your inner connection to nature you would have an innate ability to create abundance in your life through your creative & psychic gifts. The key to all of this with the Empress Archetype is the ability to infuse higher particles of Prana & Light into your etheric body on an ongoing basis. The more Prana & Light you can absorb & integrate the more nourished & fulfilled you become. It’s your ability to connect to Mother Nature & access higher particles of light, that’s key for the Empress. There are several ways that you can download more light. One of the most powerful is accessing keys, codes and frequencies available at Sacred Sites. This is what the ancients understood. They would travel thousands of miles to visit specific sacred sites so that they could infuse Light, Keys and Codes to expand their consciousness & accelerate their ascension journey. Sacred Sites are sacred because they’re like a vortex of amplified energy. They contain unique portals & gateways into other worldly realms where very high frequencies and access to Elementals, Angelic, Cosmic or Ascended Masters can be gained. By infusing these unique frequencies into your body & consciousness you create profound healing, expand your Lightbody & accelerate your Spiritual Journey. Imagine being able to access these high frequencies available at Sacred Sites all over the world without having to leave the comfort of your home. You would be able to absorb a broad spectrum of higher frequencies of light & prana to feed & nourish your body & soul as well as tap into your creativity & open up your psychic gifts. One of the gifts that I share with the world is the ability to tap into these sacred sites to access the energy & inter dimensional portals that are available there. 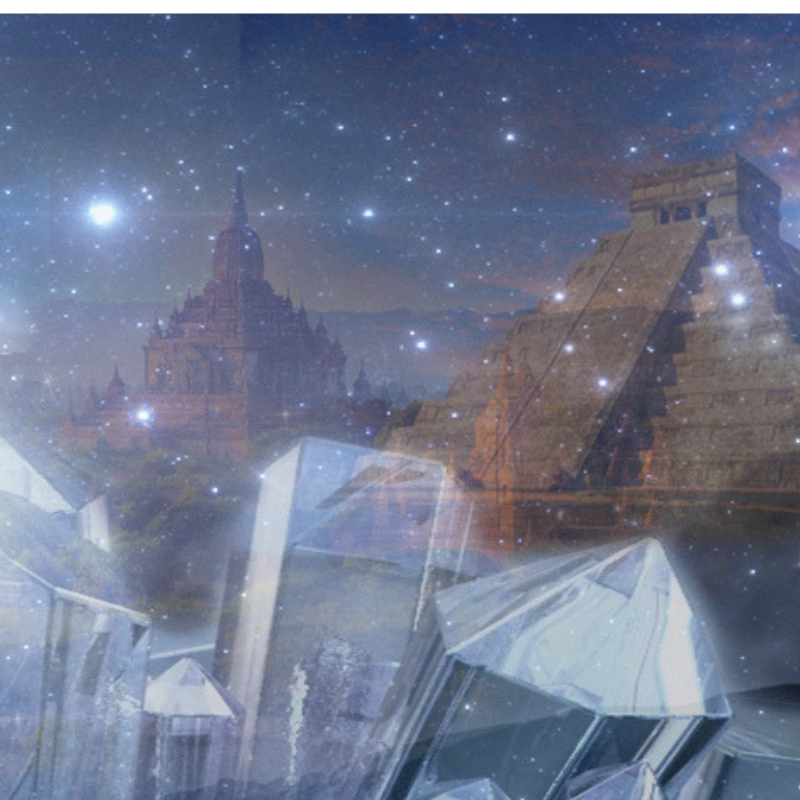 In this profound process I create a Crystalline Grid through which I take people energetically in a Merkaba Meditation through space and time so that they can infuse light, download keys and codes to build their lightbody & become more empowered. These online journeys are all facilitated remotely, so you don’t have to spend the huge investment in time, energy or money to travel to each of these Sacred Sites. Recently, I worked with a Sacred Site that infused specific frequencies of light for nurturance, creativity & rejuvenation. Here you can connect to the frequencies of the Divine Mother, a deeper aspect to the Empress energy. The Divine Mother is the Goddess of all Goddess’s. As such she gives birth to everything that is in our universe. She is Ain Soph - the ultimate creator of higher frequencies & particles of light. 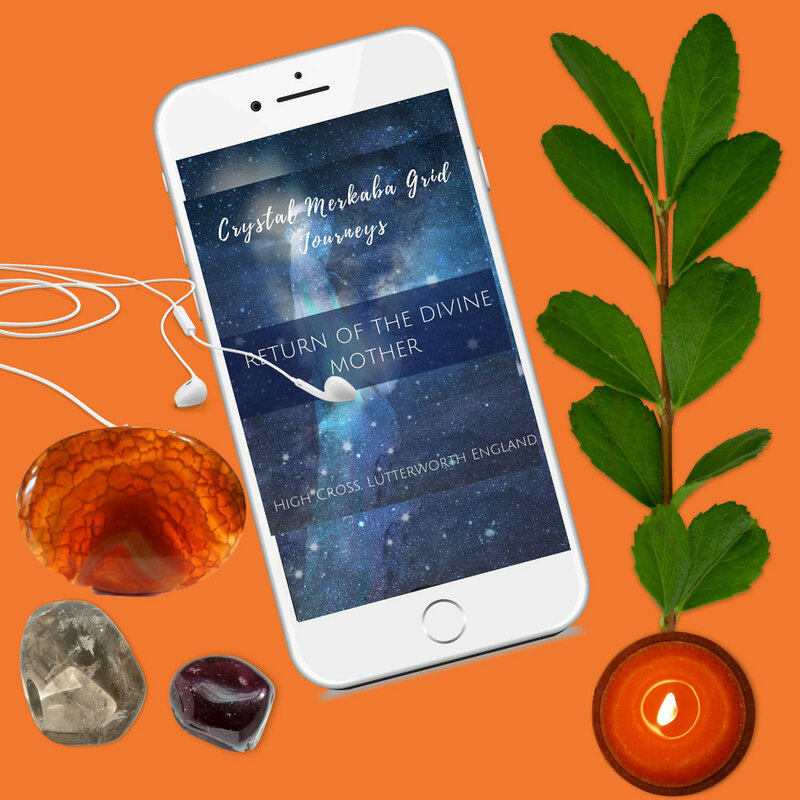 With each online journey you’ll receive a frequency package that you can download & listen to as often as you feel drawn to for energy & guidance in your Inner Nurturance & Creativity Journey. This online Journey is available for you to Access Immediately. This online journey is £33. Once purchased you’ll receive a link to where you can watch this online journey and download it. Use your frequency package as often as you feel guided &/or when ever you feel unfulfilled, weak in your physical body, blocked creatively or struggling with issues concerning the Navel Chakra.